When will you take the initiative to find a job? This is a guest post by Joey Trebif. 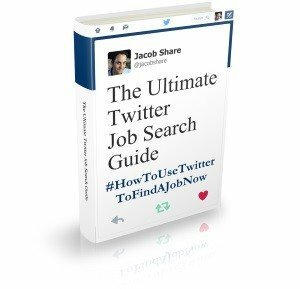 If you’d also like to guest post here on JobMob, follow these guest post guidelines. Every day we have a ton of ideas. Ways to improve how we store our pots and pans, maybe shave a few minutes off our daily commute or even how we could improve the terrible food they serve us on airplanes. We're all little idea machines, constantly innovating, improving our lives and the lives of our loved ones. You might walk down the street passing the local pizza shop and think “I can do a better job running this business” or “I could make tastier pizza”. Maybe the local hardware store has horrible customer service and you have ideas on how to vastly improve their business. The question is, why don't you take yourself up on the challenge? There are two reasons why we don't start that small business we always dreamed of, or create that killer product that improves thousands or even millions of lives. We're all a little lazy and we're afraid to fail. It's easy to say you'll start your project tomorrow and it's even easier to turn the TV on and say “I'll do it later”. Plus, we have the Internet! We could spend hours just reading Wikipedia or browsing Facebook. Why work now? That's understandable but we seem to forget how hard we worked to get to where we are. We use to go to school every day cramming tons of different things into our heads, and then we would come home and do homework. In between school and homework we might spend time with friends learning to socialize, argue and exchange ideas. We started as drooling babies and now look at us, we're reading ideas shared on the internet with a computer or mobile device we bought with money we earned working. Just getting here was a huge achievement and it was way harder than creating something out of our own ideas that could help the people we love. Doing something you're interested in is easy, in fact that's all we should spend our time doing! Of course, what about all that risk, right? We could fail, and what would everyone think of us? Maybe we waste months and achieve nothing, or even worse lose some of our savings! Instead, we sit at home watching TV, doing nothing but always wishing that we did. What we forget is that to get to where we are now, we've failed thousands of times. How long did it take you to learn to ride a bicycle, swim, even walk? Skinned knees, failed classes, it's the only way we learn. You have to fail, pick yourself back up, figure out what you did wrong and try again. If we never did that, we'd all still be drooling babies. Even better, we won't risk investing in ourselves but we'll easily throw our hard earned savings at some “great stock” or investment. I've been writing on CareerAlley for about 4 years now and I've seen it all: how to look for jobs, how to structure your resume and so on. As with most things, we learn to accept our current reality and deal with the tools at hand. It takes someone who thinks outside the box to push the needle forward and build the next tool to simplify our lives, or in this case our job search. Recently a reader of mine reached out about his idea. Frustrated with the current state of the job hunt, he's creating a tool called Imprésumé to optimize it. He thinks we should spend less time tweaking margins, filling out endless application forms, tracking our job hunt or scouring Google for job ideas. He says computers should do those tedious tasks for us. I happen to agree, but more importantly I like the fact that he's attempting to create his own job in something that interests him. The thing is, the only way to achieve absolute failure is by giving up or not trying. You would be surprised how far some of the most popular products and services we use have deviated from their original path. Case in point, Twitter originally didn't support hashtags. Hashtags spawned organically from the community as a way to communicate ideas. The Twitter community actually asked Twitter to include a hashtag implementation in their service but they said no. Twitter originally thought this was “too nerdy” and that topics should be created through machine learning automatically and not organically though individual users. As a result, they didn't build it into their service. It was only after the hashtag's use hit critical mass did they listen to their users and build it into their product. You see, even a wildly successful company can make bad calls and mistakes. It's not a products flaws in which we base our decisions, it's vision and progress. If it were the reverse we would still be searching the internet with Yahoo. When Google launched they only had a fraction of the internet indexed as compared to Yahoo. Plus, who needs another search engine, right? All great things have to start somewhere. You may not create the next Facebook on the first try but as you fail you'll be able to learn what you're doing wrong and not make the same mistake next time! Plus, who knows where your idea may lead! Don't let the imperfections keep you from trying because then you'll never get to fail and learn how to succeed. Do you have an amazing idea that will create a new product and possibly new career for you? If so, what are you waiting for? Start innovating! Joey Trebif is a senior finance executive from the New York area who has extensive experience in job search and career advice. Joey blogs about career advice, job search advice and job search site reviews at CareerAlley and can be found on Twitter at @CareerAlley. If you want Joey Trebif to win, share this article with your friends. If you liked this article, you'll also enjoy Hard Time Choosing A Career? Try Them All, Like Sean Aiken. 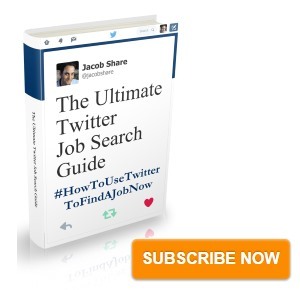 Subscribe to JobMob via RSS or email and follow me on Twitter for more ideas on getting your job search started now. The first step to do anything is ALWAYS the hardest.